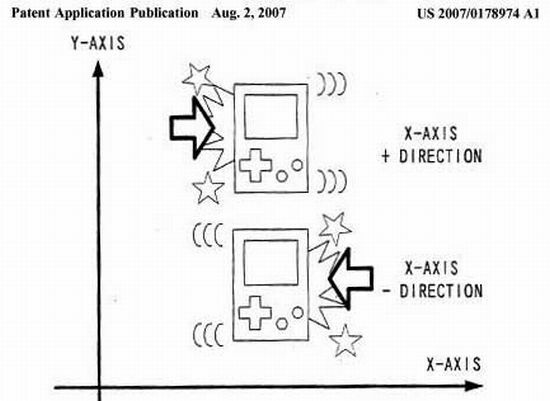 It appears that Nintendo has received a patent for a portable motion-controlled video Game player. This entry was posted on Tuesday, August 7th, 2007 at 4:29 pm and is filed under Nintendo. You can follow any responses to this entry through the RSS 2.0 feed. You can leave a response, or trackback from your own site. Its such as you read my thoughts! You seem to understand so much about this, such as you wrote the ebook in it or something. I believe that you could do with a few p.c. to pressure the message house a bit, however other than that, that is great blog. A fantastic read. I’ll certainly be back. I as well as my guys ended up digesting the good things from your web site while instantly got a horrible feeling I had not thanked the website owner for those secrets. My women are actually absolutely excited to learn all of them and already have undoubtedly been taking pleasure in them. Many thanks for simply being indeed kind and for getting this kind of tremendous guides most people are really needing to be informed on. My very own honest regret for not expressing gratitude to you sooner. Thanks a lot for giving everyone an extremely splendid chance to read articles and blog posts from this site. It is always so excellent plus stuffed with fun for me and my office fellow workers to search your web site at the very least thrice in 7 days to learn the latest items you have got. And lastly, I’m also certainly satisfied with your wonderful guidelines served by you. Selected 3 ideas in this post are in fact the most suitable we have all ever had. Our travel kettle was a very good investment. guest writers to write content in your case? I wouldn’t mind composing a post or elaborating on a lot of the subjects you write concerning here.